Kim has been studying and working in both the dance and health and fitness industry her entire career. After achieving her advanced 1 exam in classical ballet, Kim became a full member of the rad in 2002. She continued to study dance whilst teaching rad classical ballet, jazz and contemporary dance to school age students. Her love of dance and the arts led her to New York City where she studied at the Martha Graham contemporary dance school and later got a job working behind the scenes as development associate with internationally renowned dance company, complexions contemporary ballet where she remained for the next six years. Her time with complexions gave her the opportunity to work with dance institutions; the Joyce Theatre, Lincoln Centre for the performing arts, career transition for dancers, dance USA and in 2009 was a participant of the john f. Kennedy Centre for the performing arts capacity building program in Washington dc. In 2010 Kim broadened her career into the fitness industry by obtaining a core muscle anatomy certificate and core integration comprehensive pilates mat certification with the Kane school. 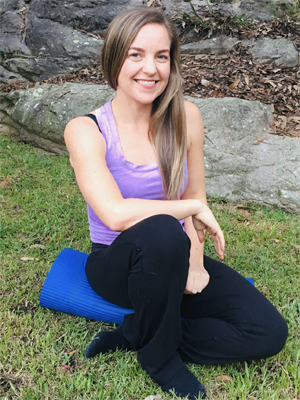 In 2014 she started working at New York sports med and physical therapy as a pilates instructor and exercise trainer assisting with the rehabilitation of patients. Kim is now based in Sydney in her final year studying a bachelor’s degree in exercise and sports science at ACU. Kim’s special interest remains in the area of dance medicine and science, as well as working with the general population in promoting health and appreciation for the importance of exercise and fitness. She has been working with private clients designing programs to improve cardiovascular fitness and strength with a pilates focus for conditioning. She is currently employed with dance athlete as a strength and conditioning coach working on multiple projects including its most recent dancer wellness program and assisting in the development of its strength and conditioning programs. She is excited to be working with dance athlete as she believes in its true philosophy and devotion in improving the fitness, performance and health of dancers and developing strong injury prevention programs.